As I had mentioned earlier, I am trying to find the right hair products for my current hair situation because I have taken it seriously on myself to get my hair back to the healthiest form. 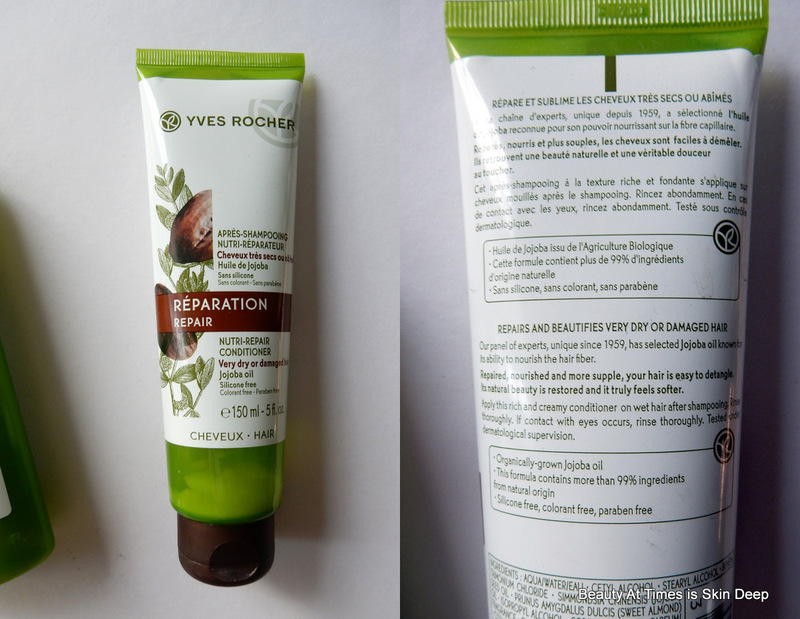 Earlier, this year, I got one hair balm from Yves Rocher. They have a Nutri-Repair Shampoo and conditioner to try out. I used it and loved it. But yes, it's difficult to tell from sachets how the products would eventually fare. Next time, when I saw a lucrative offer going on, I picked up a full size of the shampoo and conditioner. Each is priced at 495 PHP. But with the offer, I paid 600 PHP for both. That's a deal! The shampoo is white in colour and smells of cocoa-coconut. It's a delightful scent. It's a silicon-free shampoo, but not without SLS. After wash, my hair does not feel as soft or tangle-free as I was hoping. I always followed up with the conditioner which seemed to take the tangles out. My hair seemed to have less frizz and my hairfall seemed to have diminished to some extent. But, it was not something extraordinary. After using up the whole bottle, I feel the shampoo, even with the conditioner makes my hair rather dry and not as soft. Verdict: Nope. For what I paid and everything, the shampoo does not provide the expected or promised results. So, this is not going to be a repurchase for me. 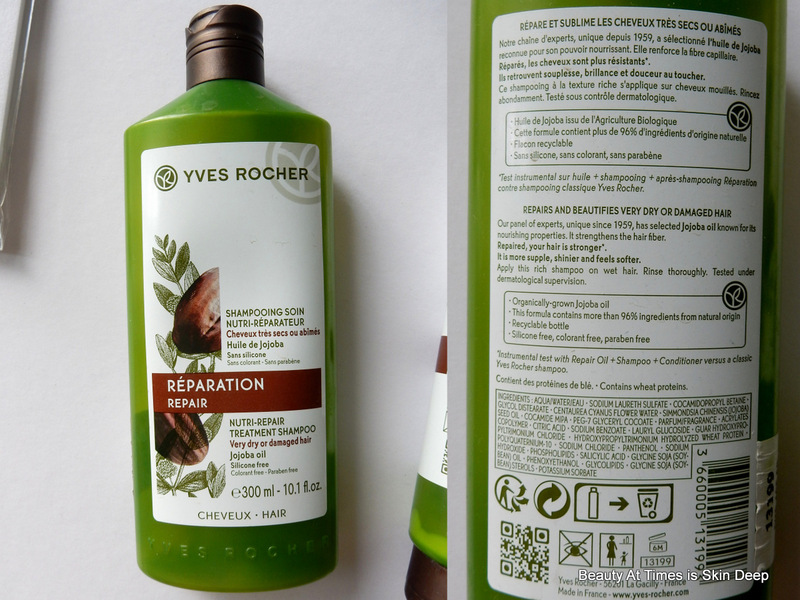 Have you used any other product from Yves Rocher? Would you recomment anything for me? Looks like this duo has more cons for the hair than pros.